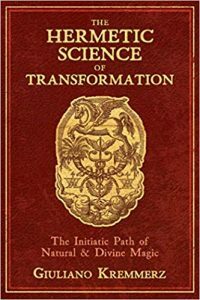 Inner Tradition Releasing a New Edition of The Hermetic Science of Transformation – Zero Equals Two! The main purpose of the hermetic science, as seen by Giuliano Kremmerz (1861-1930), Italian alchemist, hermeticist, philosopher, and member of the Ur Group, is to allow the adept to concentrate on the natural and divine magic that will allow him or her to develop the latent powers innate in every human being. 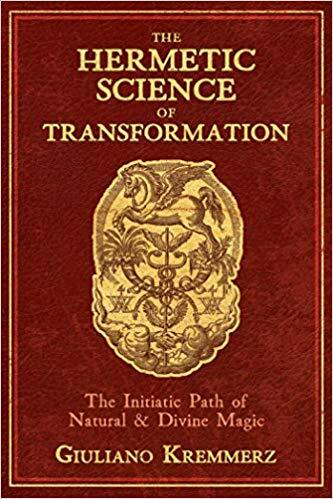 The initiatory path this opens, one the author compares to the Royal Way of Alchemy, transforms the novice not only mentally but also physically, altering even the very fluids of his or her body. For Kremmerz, magic is the supreme science, the highest expression of what exists and what is possible. With this book, first published in Italian in 1897 and available here for the first time in English, Kremmerz sought to redefine magical initiation as well as other key components of the occult sciences. His aim was to bring the hermetic path of initiation back into alignment with the strict procedures and symbolism that defined the spiritual practices of Pythagoras and the heirs to his tradition. He visualized the initiate as a disciple who has escaped the stagnant water in which the rest of humanity is immersed and entered a state of non-ordinary consciousness, one that allows for the successful pursuit of realization and contact with the magical will. In this transformative initiatory guide, Kremmerz details the occult purification and preparation the path of natural and divine magic requires. The spiritual course advocated by Kremmerz is arduous–to move forward on the path of true realization, one that will allow the initiate to “climb to heaven” while still alive, the aspirant must commit to total severance from everyday life. Yet Kremmerz’s words themselves serve to trigger the beginning of transformation within us, making the very act of reading this primer the first step on the path of initiation into the hermetic science.